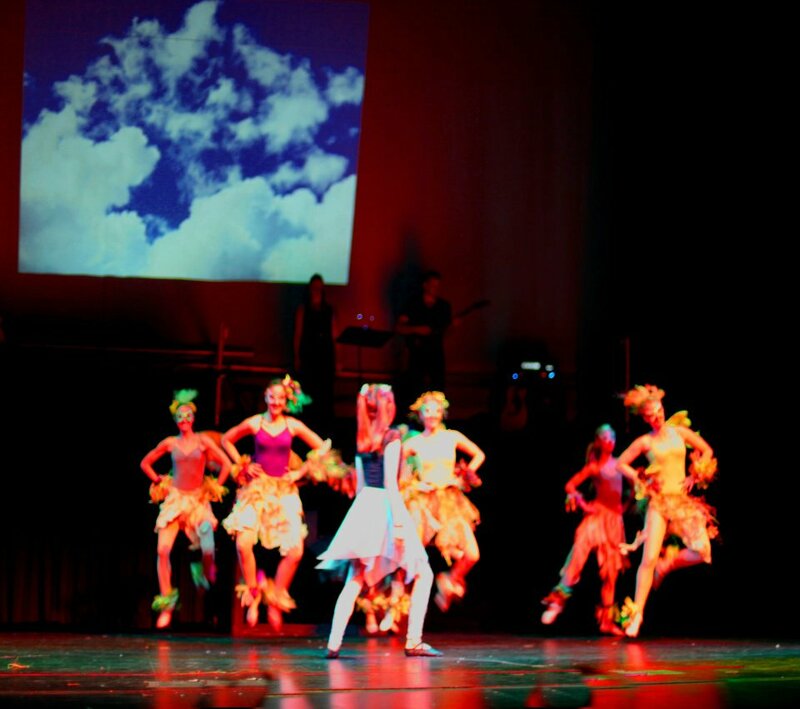 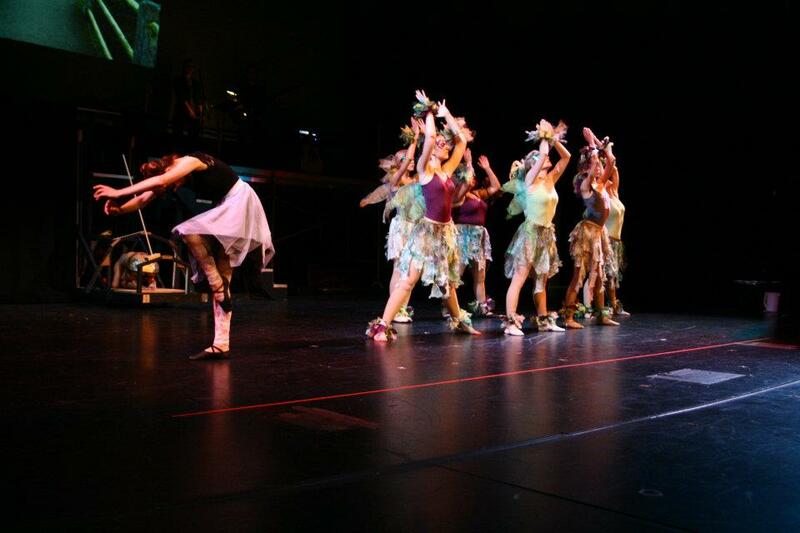 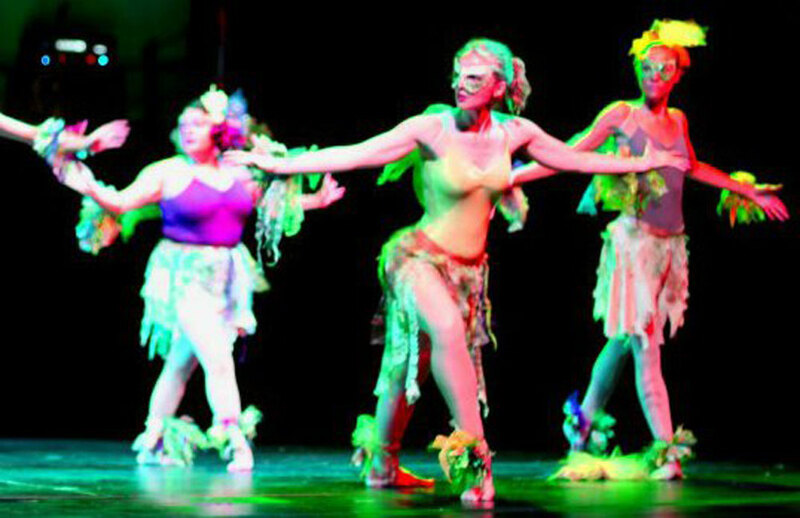 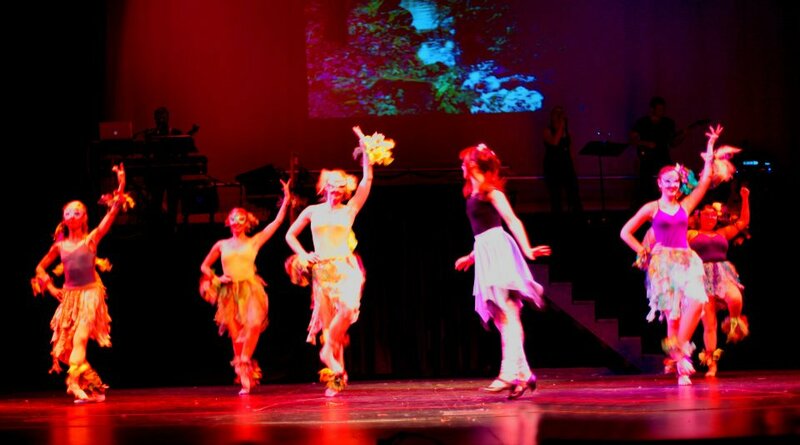 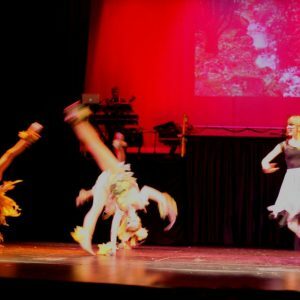 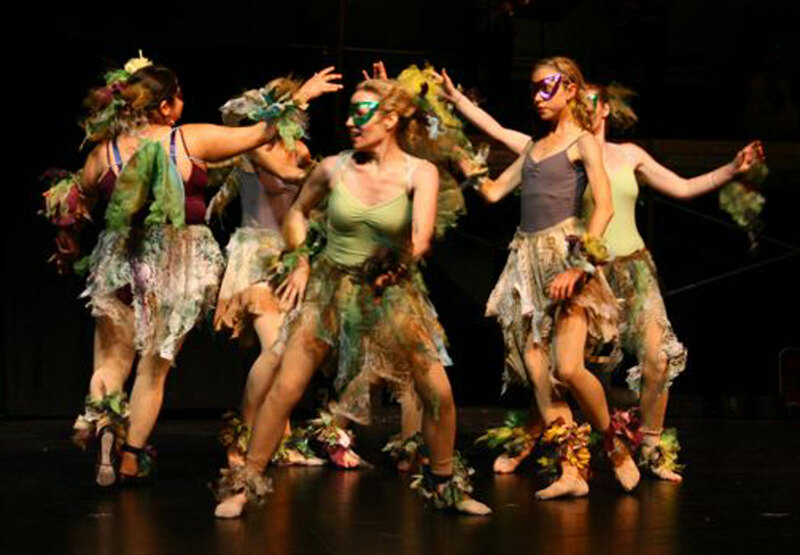 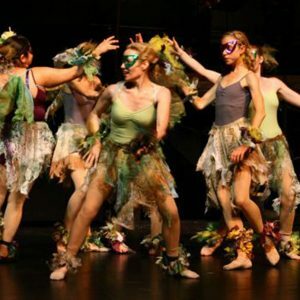 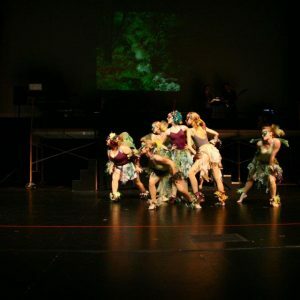 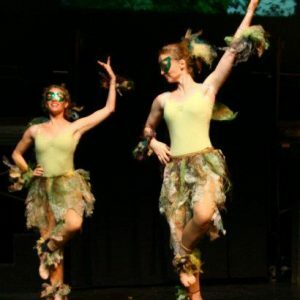 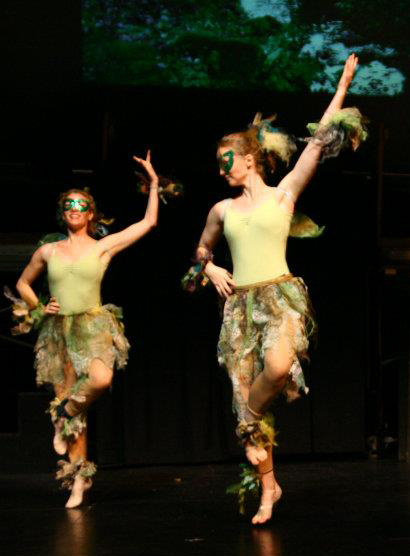 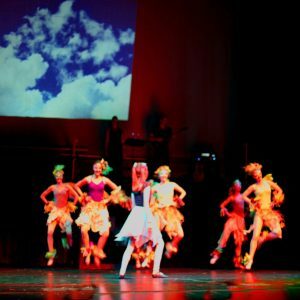 The artist designed and created costumes for seven dancers who depicted faeries in Persephone: A Rock Ballet, with music by David J. Murphy and choreographed by Hilary K. Jordan. 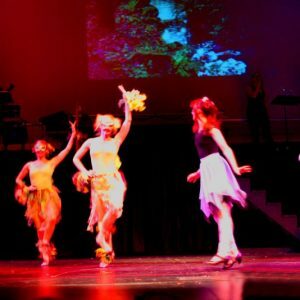 Performed at the Sondheim Center, Fairfield, Iowa, 2012. 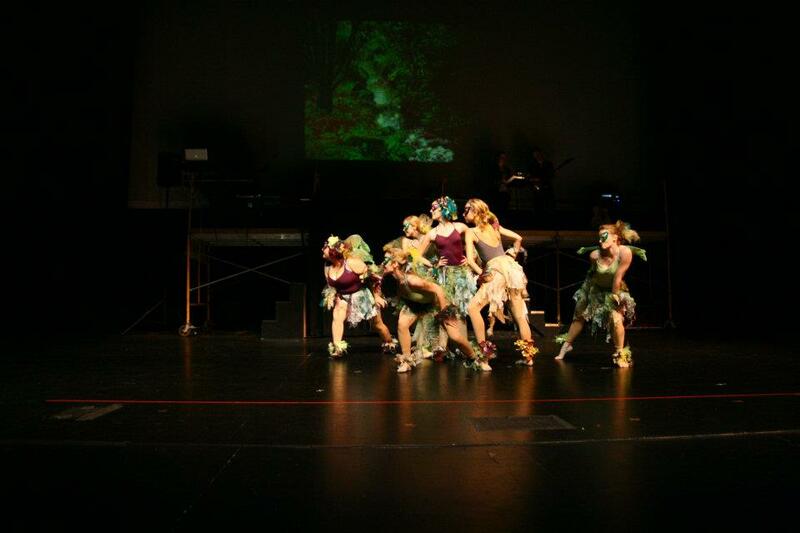 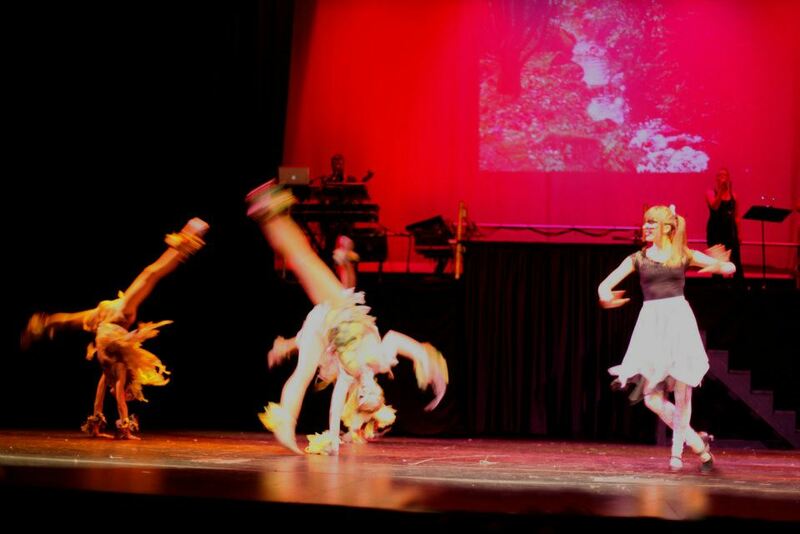 For details of one of the costumes see Rock Ballet Faerie.